Smart- Shield’s Ceramic Tape are non-combustible when tested in accordance with BS 476, Part 4 are made from alumina-silica ceramic fiber, free of asbestos. These fiber materials can be used in different industrial applications under temperatures up to 1300°C and have excellent chemical stability and strong resistance to thermal shock and corrosion attack. Inconel wire / SS wire and fiberglass filament are incorporated into the yarn to increase tensile strength of the fabrics both before and after exposure to heat. 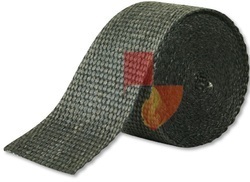 Typical applications for tapes include gaskets, seals, furnace and welding curtains or pipe wrapping. 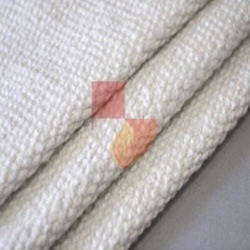 Smart- Shield’s Ceramic Rope are non-combustible when tested in accordance with BS 476, Part 4 are made from alumina-silica ceramic fiber, free of asbestos. These fiber materials can be used in different industrial applications under temperatures up to 1300°C and have excellent chemical stability and strong resistance to thermal shock and corrosion attack. Inconel wire / SS wire and fiberglass filament are incorporated into the yarn to increase tensile strength of the fabrics both before and after exposure to heat. Typical applications for tapes include gaskets, seals, furnace and welding curtains or pipe wrapping. 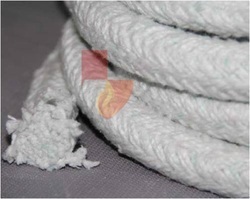 Smart- Shield’s Twisted Ceramic Rope are non-combustible when tested in accordance with BS 476, Part 4 are made from alumina-silica ceramic fiber, free of asbestos. These fiber materials can be used in different industrial applications under temperatures up to 1300°C and have excellent chemical stability and strong resistance to thermal shock and corrosion attack. Inconel wire / SS wire and fiberglass filament are incorporated into the yarn to increase tensile strength of the fabrics both before and after exposure to heat. 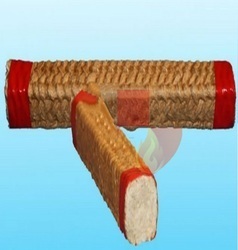 Compared to uncoated Ceramic rope, Vermiculite coated Ceramic Rope has little irritation of skin and Provides increased resistance to high temperature, flame, and abrasion. 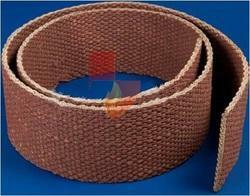 In addition, the vermiculite film helps to seal against water, gases and liquids. 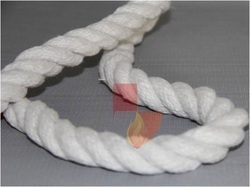 Vermiculite Coated Ceramic Rope is completely Non-Flammable. Smart- Shield’s Ceramic Fiber cloth are non-combustible when tested in accordance with BS 476, Part 4 are made from alumina-silica ceramic fiber, free of asbestos. These fiber materials can be used in different industrial applications under temperatures up to 1300°C and have excellent chemical stability and strong resistance to thermal shock and corrosion attack. Inconel wire / SS wire and fiberglass filament are incorporated into the yarn to increase tensile strength of the fabrics both before and after exposure to heat. Compared to uncoated Ceramic Fiber, Vermiculite Ceramic Coated Tape has little irritation of skin and Provides increased resistance to high temperature, flame, and abrasion. In addition, the vermiculite film helps to seal against water, gases and liquids. 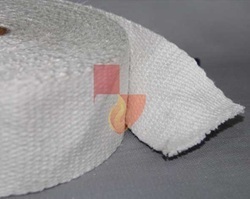 Vermiculite Coated Ceramic Cloth is completely Non-Flammable. Smart- Shield’s Ceramic Fiber Tape are non-combustible when tested in accordance with BS 476, Part 4 are made from alumina-silica ceramic fiber, free of asbestos. These fiber materials can be used in different industrial applications under temperatures up to 1300°C and have excellent chemical stability and strong resistance to thermal shock and corrosion attack. Inconel wire / SS wire and fiberglass filament are incorporated into the yarn to increase tensile strength of the fabrics both before and after exposure to heat. 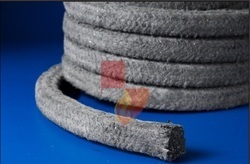 Smart- Shield’s Graphite Coated Ceramic Fibre Rope are non-combustible when tested in accordance with BS 476, Part 4 are made from alumina-silica ceramic fiber, free of asbestos. These fiber materials can be used in different industrial applications under temperatures up to 1300°C and have excellent chemical stability and strong resistance to thermal shock and corrosion attack. Inconel wire / SS wire and fiberglass filament are incorporated into the yarn to increase tensile strength of the fabrics both before and after exposure to heat. Typical applications for tapes include gaskets, seals, furnace and welding curtains or pipe wrapping. Max Operating Temperature 1260ºC With Glass fiber reinforced. 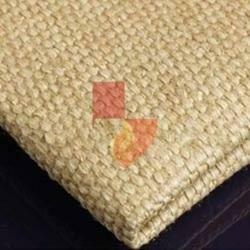 Smart- Shield’s Ceramic Woven Cloth are non-combustible when tested in accordance with BS 476, Part 4 are made from alumina-silica ceramic fiber, free of asbestos. These fiber materials can be used in different industrial applications under temperatures up to 1300°C and have excellent chemical stability and strong resistance to thermal shock and corrosion attack. Inconel wire / SS wire and fiberglass filament are incorporated into the yarn to increase tensile strength of the fabrics both before and after exposure to heat. Typical applications for tapes include gaskets, seals, furnace and welding curtains or pipe wrapping. Compared to uncoated Ceramic Fiber, Vermiculite Ceramic Coated Cloth has little irritation of skin and Provides increased resistance to high temperature, flame, and abrasion. In addition, the vermiculite film helps to seal against water, gases and liquids. 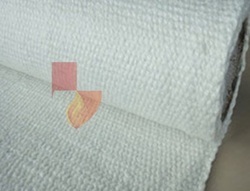 Vermiculite Coated Ceramic Cloth is completely Non-Flammable. Smart- Shield’s Ceramic Fiber cloth are non-combustible when tested in accordance with BS 476, Part 4 are made from alumina-silica ceramic fiber, free of asbestos. These fiber materials can be used in different industrial applications under temperatures up to 1300°C and have excellent chemical stability and strong resistance to thermal shock and corrosion attack. Inconel wire / SS wire and fiberglass filament are incorporated into the yarn to increase tensile strength of the fabrics both before and after exposure to heat. 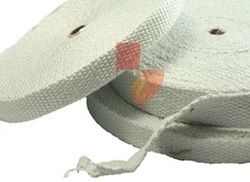 Smart- Shield’s S.S Wire Insert Ceramic Cloth are non-combustible when tested in accordance with BS 476, Part 4 are made from alumina-silica ceramic fiber, free of asbestos. These fiber materials can be used in different industrial applications under temperatures up to 1300°C and have excellent chemical stability and strong resistance to thermal shock and corrosion attack. Inconel wire / SS wire and fiberglass filament are incorporated into the yarn to increase tensile strength of the fabrics both before and after exposure to heat. Typical applications for tapes include gaskets, seals, furnace and welding curtains or pipe wrapping. 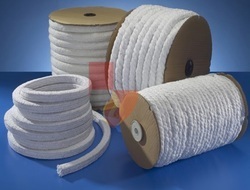 Smart- Shield’s Ceramic Braided Rope with S.S wire are non-combustible when tested in accordance with BS 476, Part 4 are made from alumina-silica ceramic fiber, free of asbestos. These fiber materials can be used in different industrial applications under temperatures up to 1300°C and have excellent chemical stability and strong resistance to thermal shock and corrosion attack. Inconel wire / SS wire and fiberglass filament are incorporated into the yarn to increase tensile strength of the fabrics both before and after exposure to heat. Typical applications for tapes include gaskets, seals, furnace and welding curtains or pipe wrapping. Looking for Ceramic Fiber Products ?